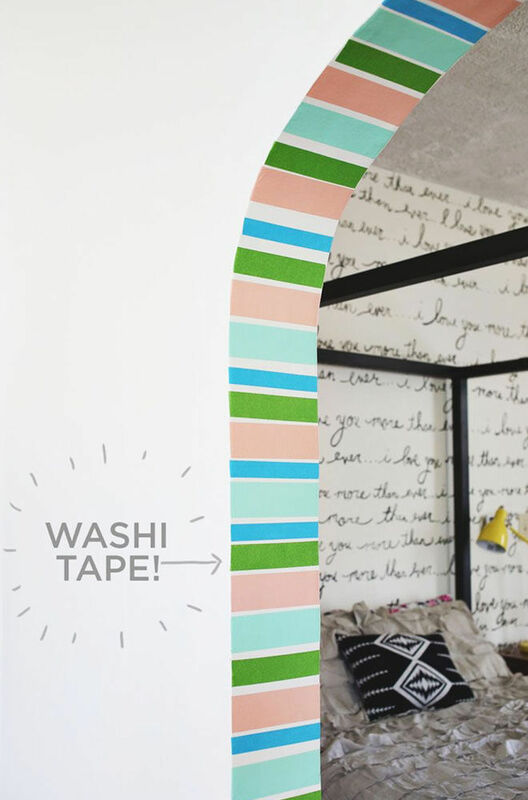 With interior trends changing quicker than you can say ‘stick it’ washi tape has become a styling secret weapon for many (especially renters). 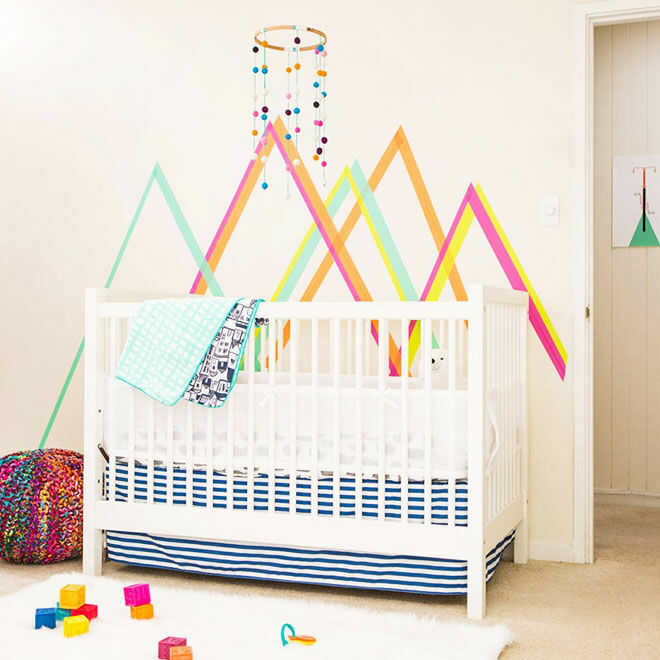 The colourful roll of sticky stuff easily transforms the baby nursery, playroom and even the hallway without damaging the surface or having to decorate the entire room. Simply roll and stick. 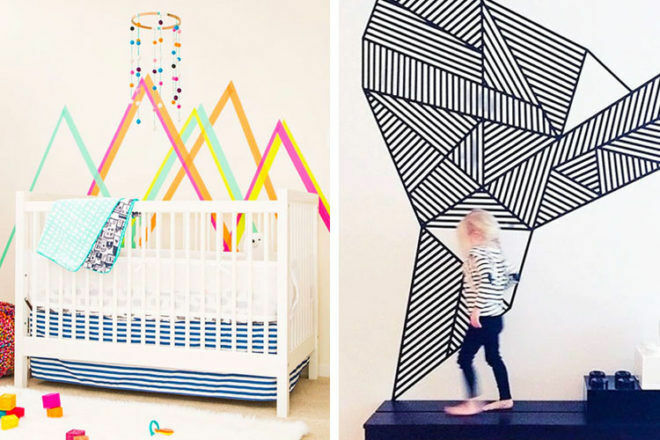 We’ve gathered 15 washi tape wall ideas to get those creative juices flowing. 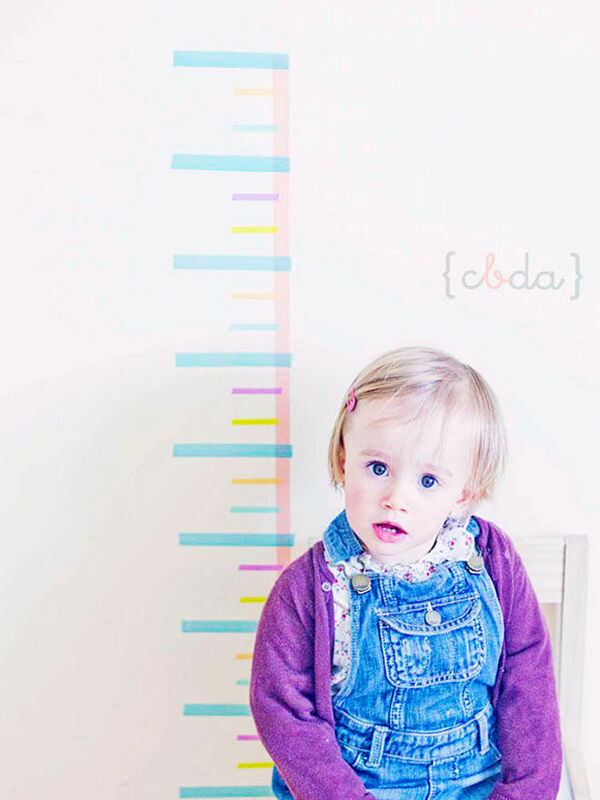 When the little rascals grow so quickly it’s genius having a height chart that you can keep adding to. 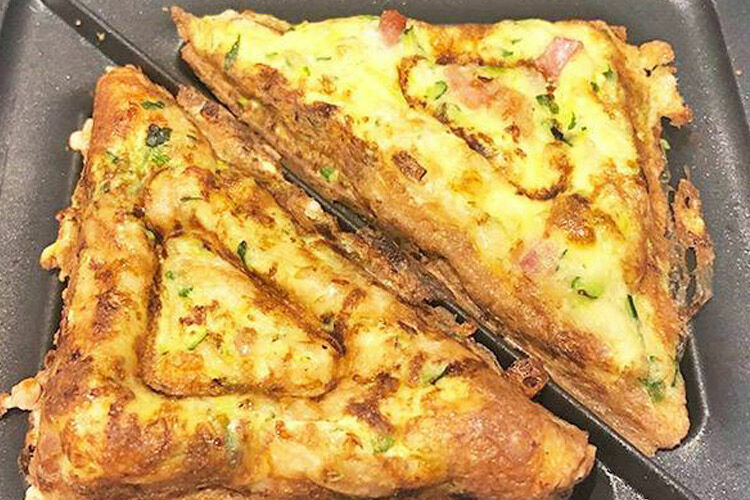 Smart thinking! 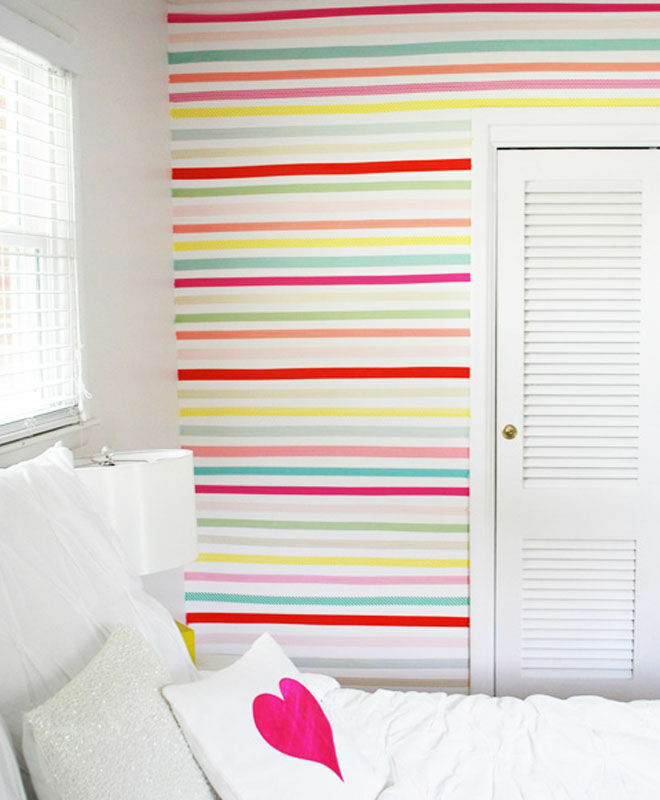 Take a plain wall and bring it up-to-date with a washi tape makeover. Here, the repetition of black crosses work wonders, but it can easily be done with zig-zags or triangles. 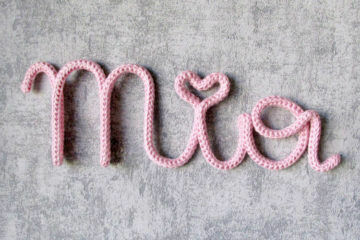 Take a feature that goes un-noticed and make it fabulous. We’re swooning over this colourful doorway with its hint of mint and salmon pink. 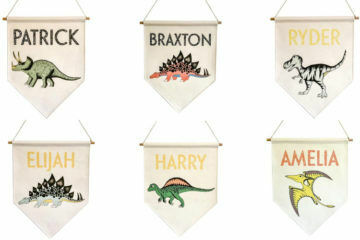 Here’s a nice little project for the nursery. 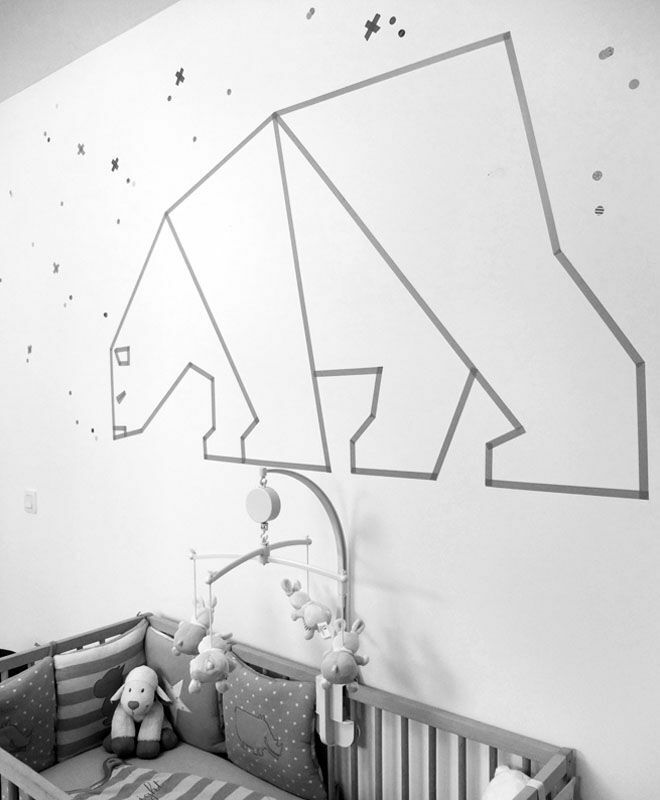 Your little cub is bound to love the addition of a washi tape polar bear above the cot. 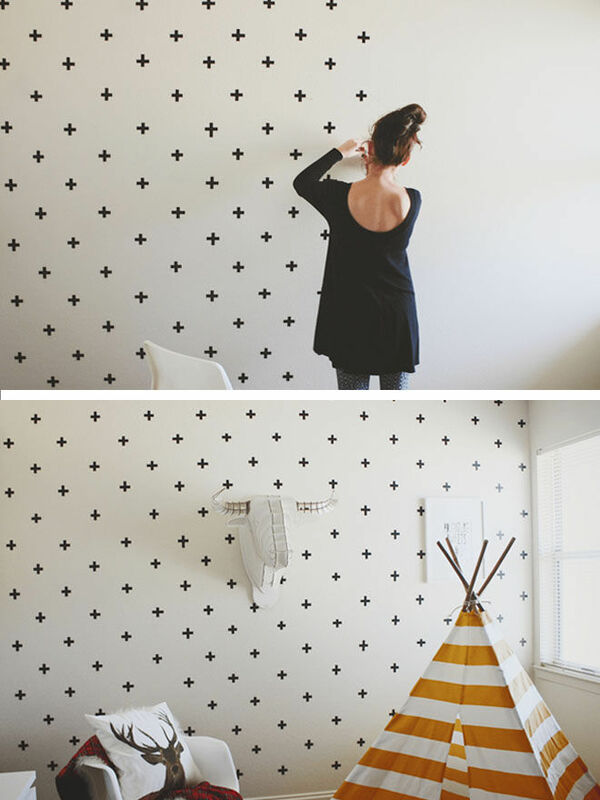 Think outside the box and let the washi tape work its magic. 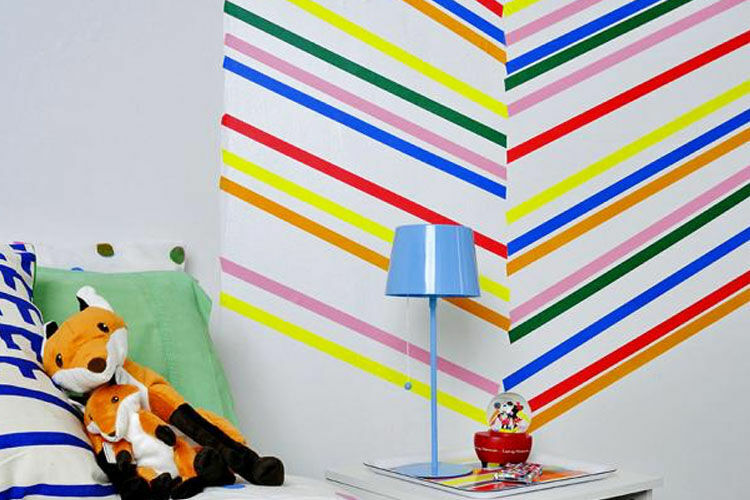 This washi tape wall of lines is as colourful as it is creative – we love! Would you like a window? 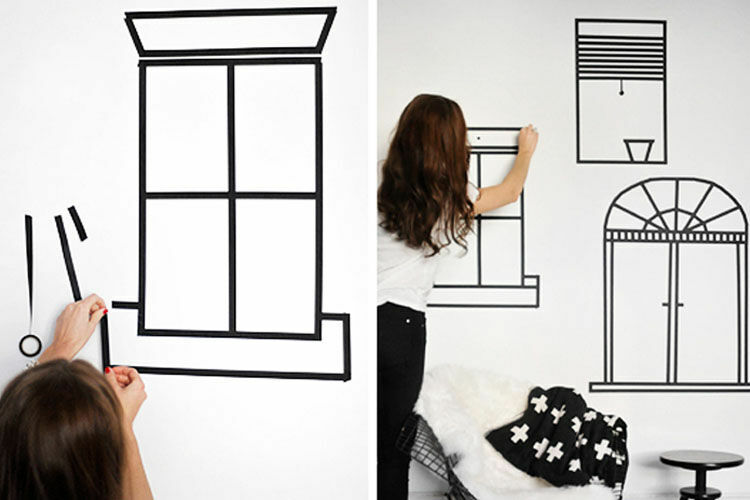 If you’d like a few more windows in a room, why not just add them yourself? 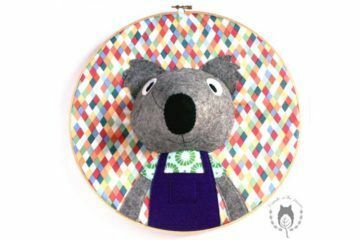 Here’s a quirky way to get a new view from the sofa. 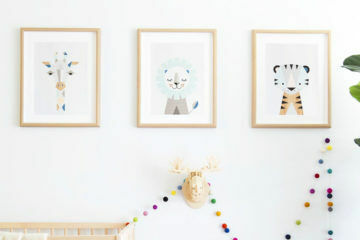 A fun feature wall along the stairway could be all you need to get the kiddies to bed on time. Worth a try, right? 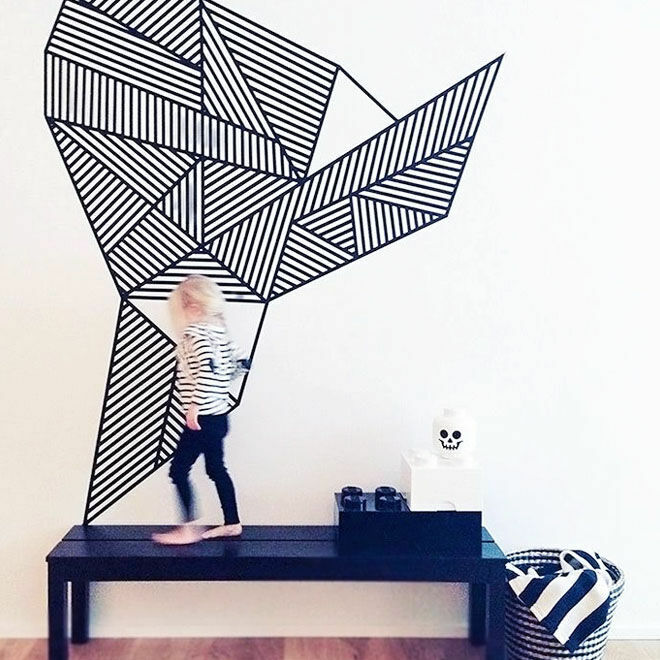 Taking inspiration from a graffiti artist, we love how the guys from Land of Nod integrated this washi tape wall into their home. 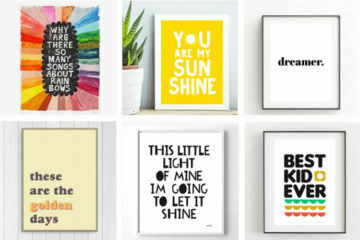 Need a colourful backdrop for the new nursery? 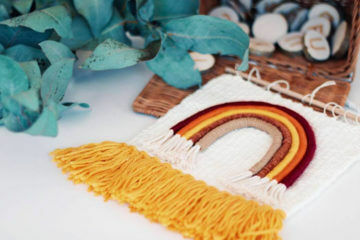 This multi-coloured mountainscape is just the ticket. 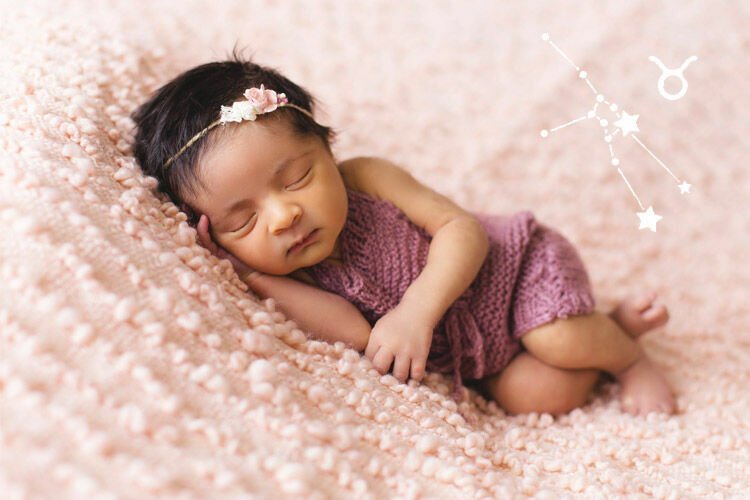 A playhouse is never a playhouse until it has walls and a roof. 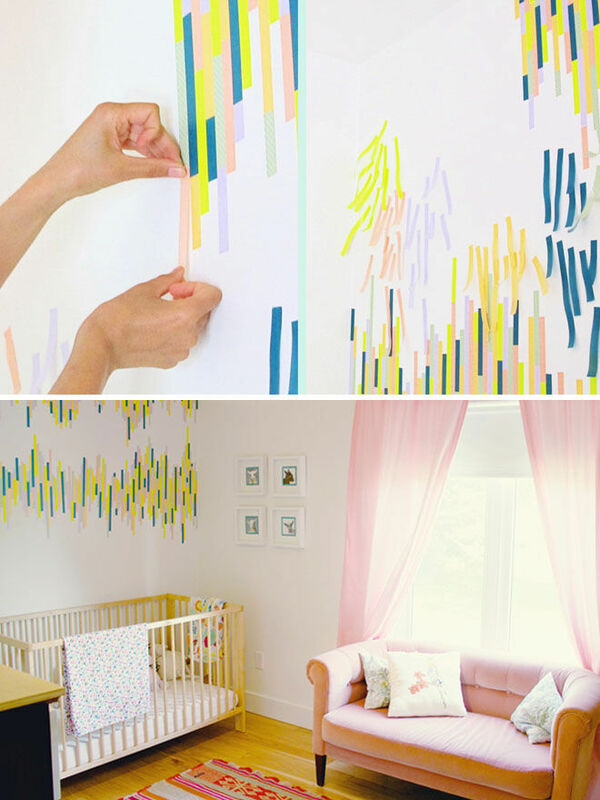 Simply grab a roll of washi tape and ta-da! 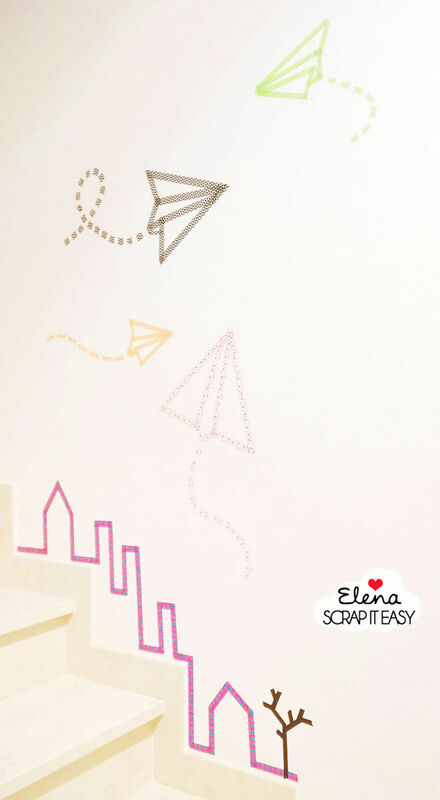 Red and yellow and pink and green… This charming washi tape wall brightens a white room without being too overstimulating. Could it be any easier? 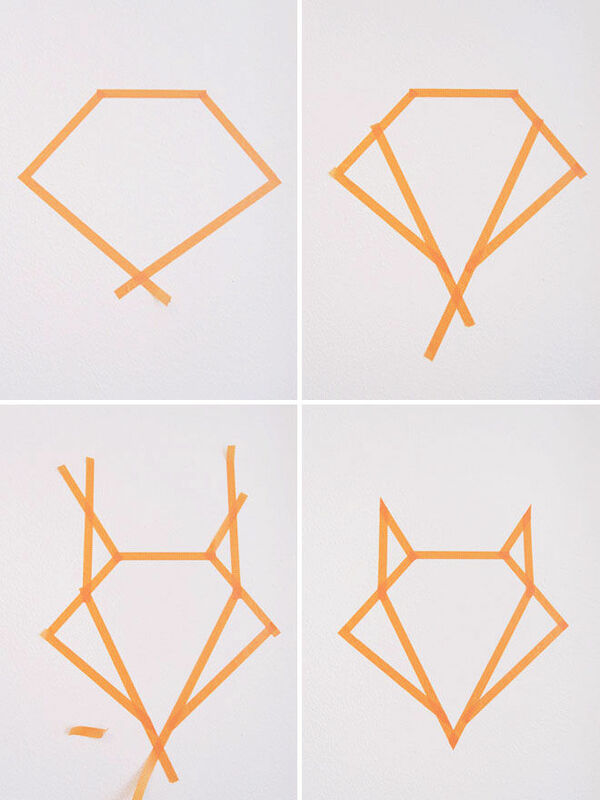 Simply follow the origami-style orange lines to create a friendly fox for the walls at home. 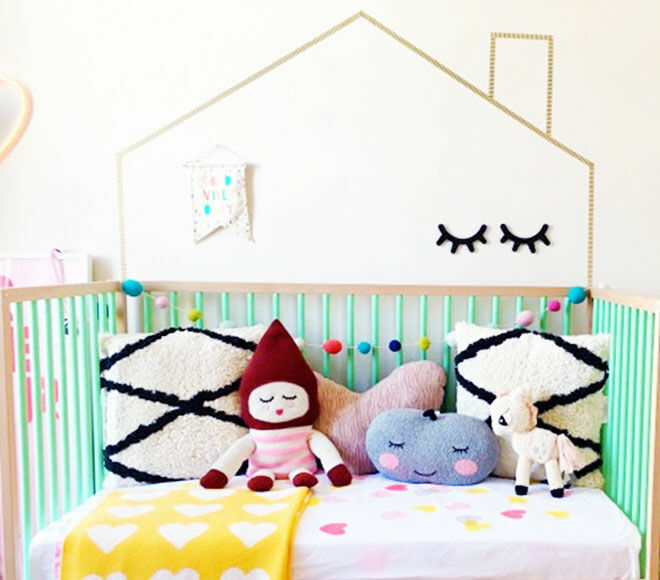 The cot is the cornerstone of the nursery and Babiekins shows us how to frame it beautifully with a quick washi tape fix. 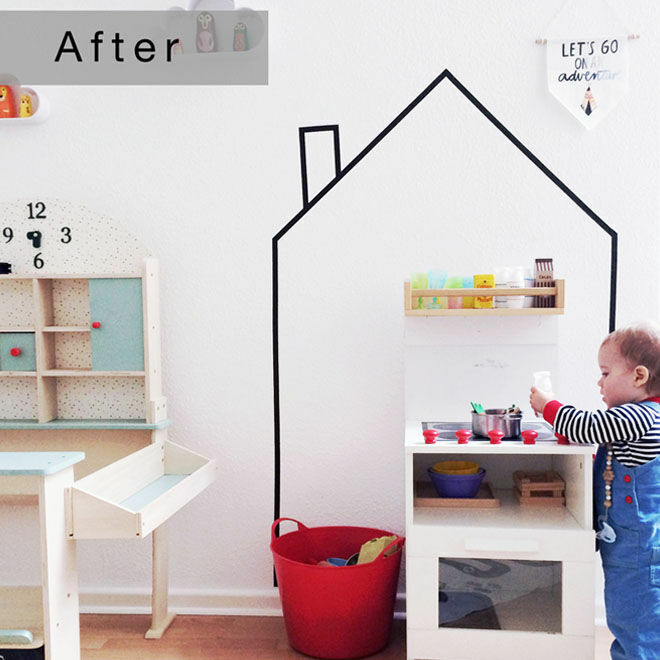 Entice little bookworms with a washi tape book corner. 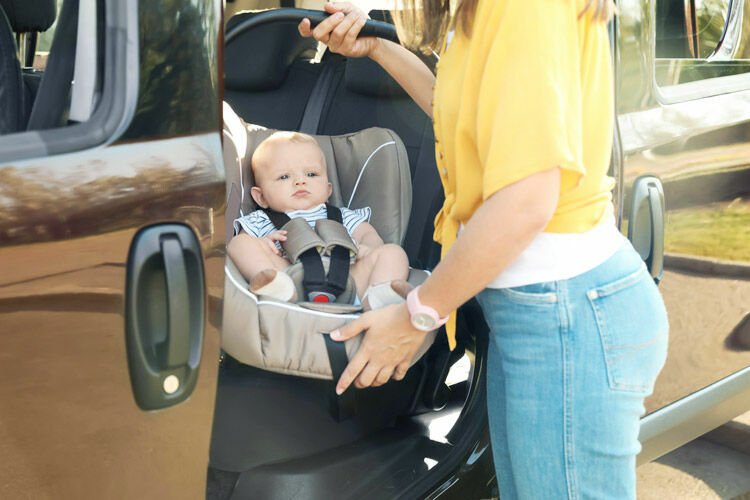 Fill with plush pillows and a reading light to make it so snug they’ll never want to leave. 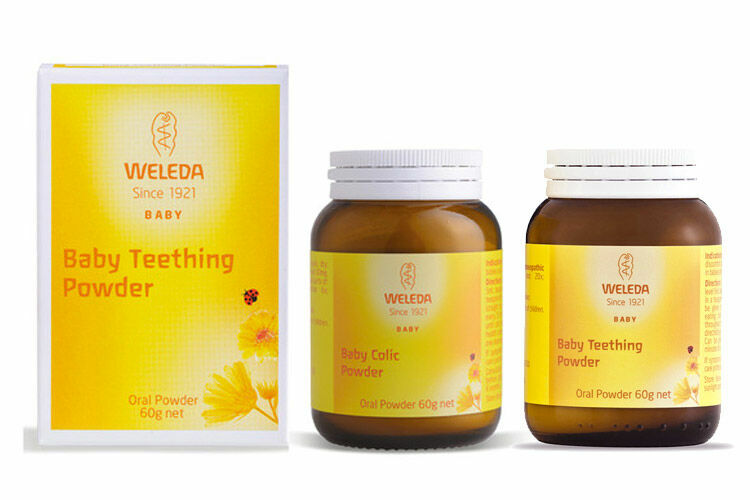 Ideal for nurseries and kids rooms alike. 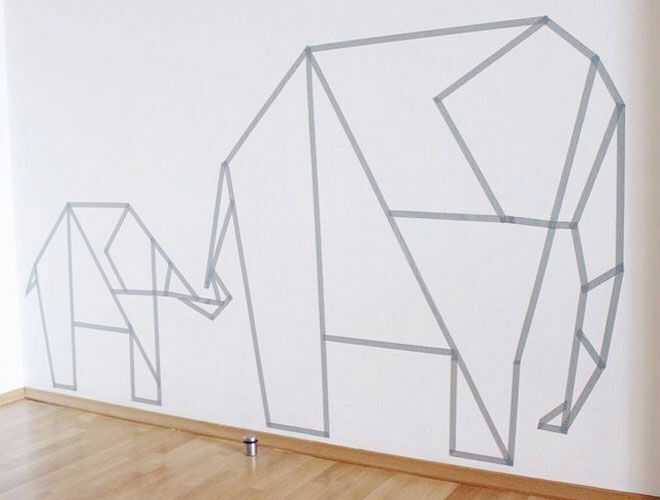 We’re totally smitten with this pair of washi tape elephants. 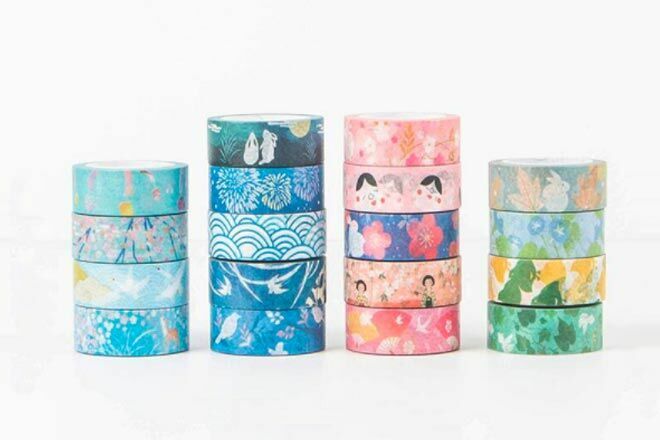 We love Callicrafty (Melbourne based Etsy store) for her huge selection of over 200 washi tape designs. Everything from pastels, metallics, patterns and everything in between.